I don’t know about anyone else, but our store’s layout sometimes feels like a real world Rubik’s Cube I can’t quite solve. 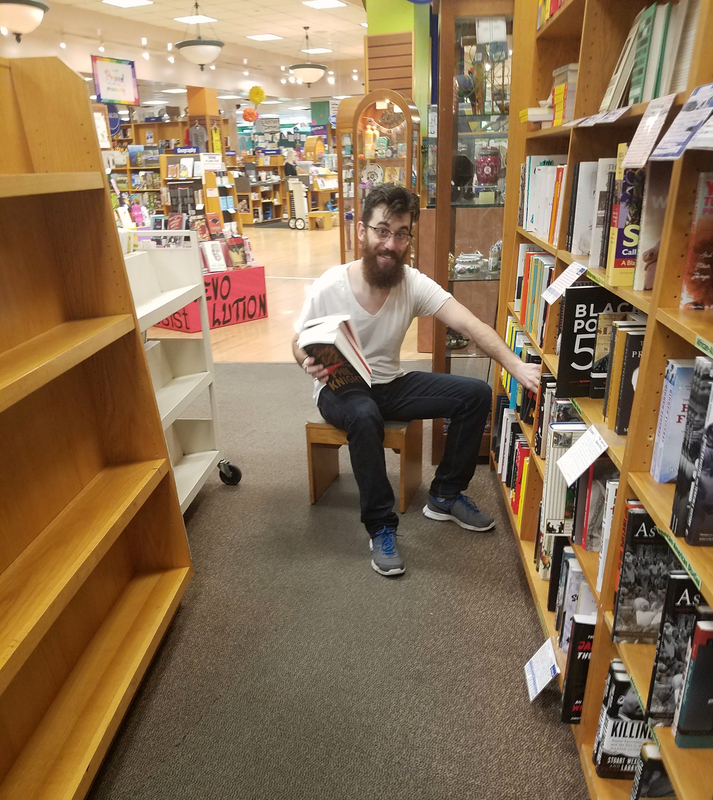 There are corners everywhere you turn, as the bookshelves snake through the store. And those nooks and crannies don’t always match up exactly with the number of shelves you need in each spot or offer easy flow between sections that relate. So every couple months, we get the itch to start moving everything around to try to find that perfect fit. Most of the time, our adjustments are relatively minor as sections grow a bit, shrink a bit, or are created to reflect new trends. Of course, there’s never any perfect solution because the literary conversation is always shifting in one way or another. So constant tweaks and shifts are part of the deal (and give us the fun of brainstorming new evolutions). Every now and then, though, we find ourselves more substantially bumping against spatial limitations, and then we get to go back to the drawing board in a larger way. That’s what we’re in the middle of today and tomorrow (so if you stop by the store, don’t hesitate to ask for help finding something!). The impetus for the larger section moves was a need for more space in our teen area. We had a substantial section for teens, with 15 bays, but as the popularity of the section increased over time and inventory turns stayed high, it just didn’t fit anymore. When you have to create a permanent overstock area just for one section, that’s never ideal. 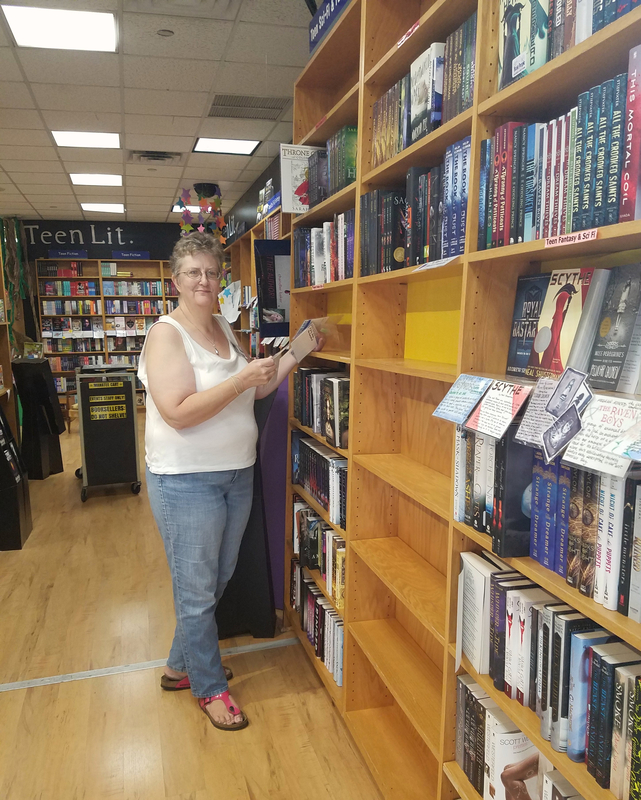 But nothing ever expands in a vacuum, and with the teen section needing to grow by about 20%, we started looking at the adult book areas it was expanding into, and they really didn’t make sense. Merrilee and Patrick get things moving! I know a lot of stores have had success putting teen near adult fiction or sci fi. We don’t have the ability to do that, since there’s just no room to spare on the first floor. But we can definitely do better than transitioning from teen to business management. That’s not exactly where we’d imagine seeing a high level of crossover, to be honest. 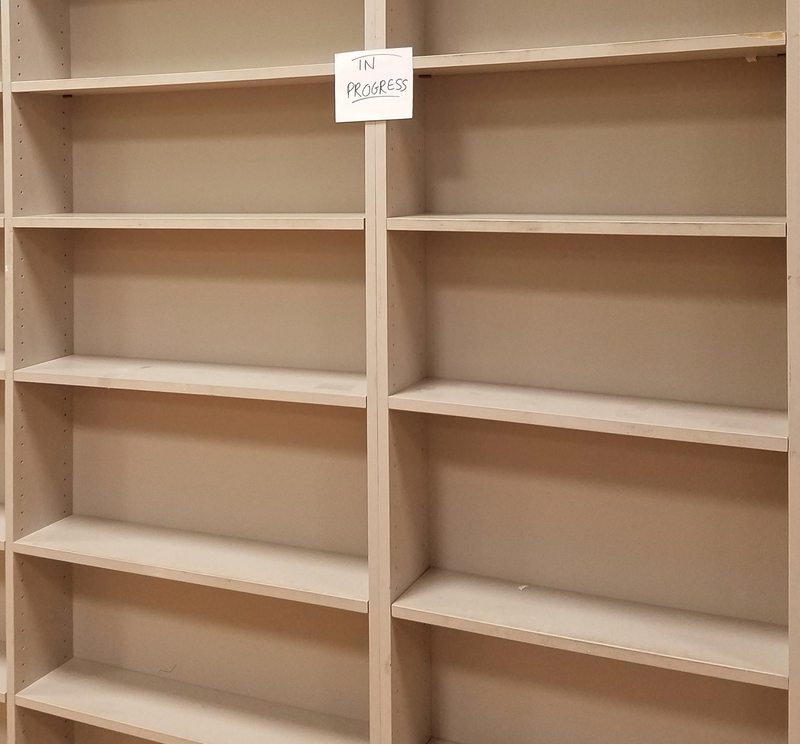 So our adult buyer and inventory manager moved a whole bunch of their own sections around so that teen will now end near our cultural studies, Gay and Lesbian Studies, and LGBTQ lit sections. I think that’s a pretty interesting sequence. 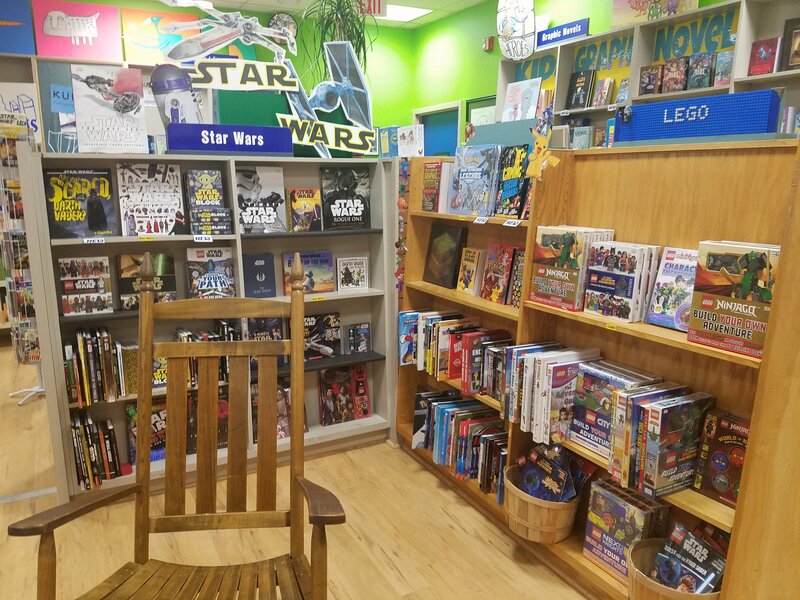 In the wake of that substantial move, all of our middle grade sections finally have room to breathe, doubling both our J.K. Rowling and Rick Riordan sections, expanding our bursting-at-the-seams kids comics and graphic novels to four bays, and turning over the former early readers corner to Star Wars, Legos, and Gaming. I mean … that’s the theory. If you walk into our store right this second, I’ll be honest that it might look less put together than it sounds. But it’s coming together, and I’m excited. And hey, while we’re at it, haven’t we been wanting to create a kids’ mindfulness section? And kids’ activism too! And wouldn’t featuring TLA’s Tejas Star list be really interesting? Oh, and it would be great to get a new fixture for stickerbook shelving so we can expand board books. And we need to pick up a couch for the new teen seating area. And a puppy! (OK so I might be getting carried away). So many plans, so many possibilities. In sum, if you happen to stop by the store today, let me apologize in advance for the chaos. If you just bear with us, we swear it will all be perfect soon. And if not, we’ll be back to our book shifting ways before you know it. We just can’t help ourselves! This entry was posted in Uncategorized on July 27, 2018 by Meghan Dietsche Goel.